I have a bit of trivia for you. In case you were wondering why a dinosaur game in Chrome? 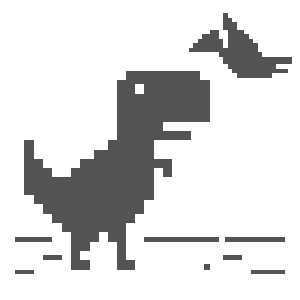 Well, this little Tyrannosaurus Rex is displayed on the offline screen, at the point where the internet is unreachable. Now think about a T-Rex and those short little arms. Yep that's it.